If you do not have this icon, it's possible that your server does not currently have the Site Builder, if you would like to take advantage of our site builder, contact us and we will move you over to a server which has it. More information about our site builder can be found in our website here. 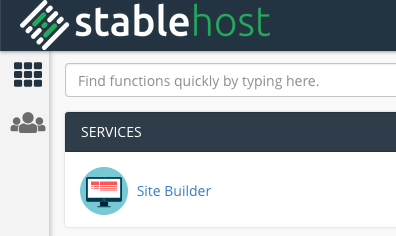 If you need help or support related to the BaseKit Sitebuilder you can click here.